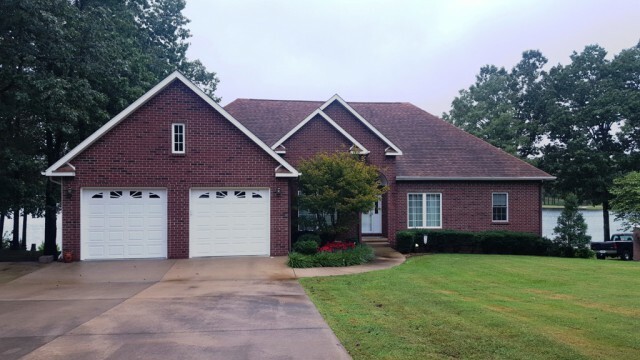 Beautiful all brick Crown Lake home w/approx. 100' lake frontage. So many extras you mush look at this home! Upper: living rm w/gas log f/p, kitchen (all Oak cabinets & build in hutch), breakfast nook, dining rm, sitting rm, 3 bd/2.5 baths, laundry (front load w/d incl). All kit. appliances incl. LL: office or bdrm #4, craft/sewing rm, storage rm, workshop, family rm, workshop w/dbl doors, rec area, bonus area. Master bath has walk in Jacuzzi tub, walk in shower & double sinks. Chair lift to lower level. Sprinkler system from lake, landscape block walkway, seawall, dock. Floors are hardwood, ceramic & carpet. MUCH MUCH MORE - COME SEE!